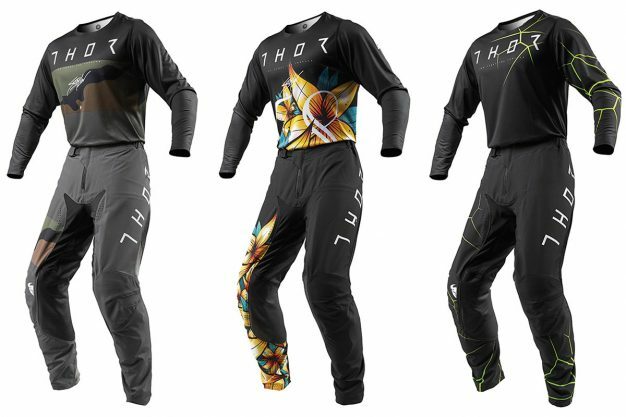 Top of the line Thor MX range unveiled for season 2019. 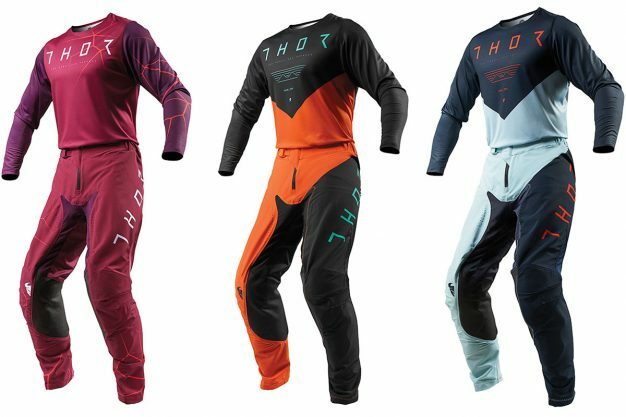 Thor MX Australia has unveiled its 2019 gear sets, including this top of the line Prime Pro range. Every stitch of Prime Pro racewear was designed with intent and purpose, utilising premium materials and detailed craftsmanship. Prime Pro is Thor’s most advanced racewear to date, built around the notion that unrestricted mobility, minimal weight and athletic fit all allow the rider to work more efficiently with the motorcycle. – Hybrid fit with set-in style tailored sleeves. – Taped collar and cuffs. – Minimal seams for maximum comfort. – Fully ventilated arms and back panel. – Tail silicone print helps keep jersey tucked in. – Flat-stitched seams minimise irritation. – Ultra lightweight pre-curved chassis design. – Abrasion tolerant Poly/Spandex blend. – Premium grade full grain leather inner knee panels. 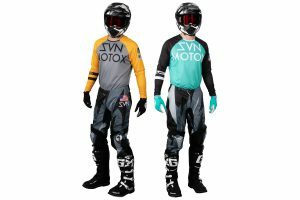 – DuPont stretch Kevlar backed inner knee panels. – Engineered small expansion stretch panels on waist. – Strategically placed vented mesh panels. – Laser cut holes for ventilation. – Inner waist silicone band. – Interior hip pocket (easily removable). – Ratchet style waist closure. The 2019 Thor MX Prime Pro line is available now, with the jersey retailing at $79.95 and pant at $259.95. 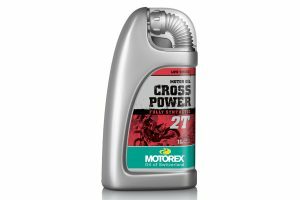 Distributed in Australia by Gas Imports, visit www.gasimports.com.au for further information.